Travis Allen – Not so Pro-Life! Assemblyman Travis Allen is one of the candidates for Governor of California (web site). He and John Cox (web site) are the two major Republican candidates. Either of them would make a far better Governor for California than any of the Democratic candidates. However, for people who value a politician’s voting record to see how he or she will vote and act on policy issues in the future (here as Governor of California), Mr. Allen’s voting record on the life issue is not consistent with his alleged “pro-life” campaign trail statements and claims. AB 569 (Gonzales/Fletcher) The bill prohibits an employer (INCLUDING A CHURCH) from requiring employees to sign a code of conduct that prohibits the employee from having an abortion. The bill was sponsored by NARAL Pro Choice California. (9/14/17) Note: Even Gov. Jerry Brown opposed this bill and it was vetoed. Assemblyman Travis Allen was present but abstained. SJR 19 (Jackson) Both the CA Assembly and Senate urged the President and Congress to support access to abortions, including the services provided by Planned Parenthood, and to oppose efforts to eliminate federal funding for Planned Parenthood. (5/23/16) Assemblyman Travis Allen was present but abstained. In addition, Planned Parenthood (the largest provider of abortions in the United States) has twice given Mr. Allen a rating of over 50%: 2014 55% and 2016 67% (to be fair he received a zero rating in 2013, 2015 and 2107). Here is PP’s web site for its scorecard (also listed on Mrs. Gleason’s document about Mr. Allen). The life issue was the main public policy issue that motivated me to get involved in politics as an activist many years ago. Therefore Mr. Allen’s voting record on this issue is very important to me and who I decide to vote for in June. If Mr. Allen is one of the top two candidates out of the June primary and the other top two candidate is a Democrat (none of them have stated they are pro-life) I will certainly vote for him as the better of the two choices. But for the June primary, I have more than two choices and I will be exercising that choice. I hope you find this information useful in your voting decision on the race for Governor for the June primary. Craig P. Alexander, Esq. is an attorney at law who practices law in Dana Point, California. He can be reached at craig@craigalexanderlaw.com. Senator Cruz (who will be listed first on our ballots) is still in my opinion the best candidate for President of the United States due to his long history of fighting for the U.S. Constitution and his willingness to take on the Washington, D.C. establishment on both sides of the isle. Ted Cruz is a proven and tested Constitutional leader. I recommend you go to: Senator Cruz’ web site to find out more. In addition, Donald Trump has not earned my vote or support. His positions on issues (as much as can be understood of any position he may take) such as supporting transgender bathrooms and locker rooms, eminent domain abuse by having government take other people’s property then selling it to developers for them to build private property projects for their own profit and many other causes over the years are on the opposite side of what I believe in. Another example is he still loves Planned Parenthood. In addition, his tactics during the campaign including, but not limited to, going after people’s wives and children, alleging Ted Cruz’ father was in league with Lee Harvey Oswald in the assignation of JFK and other similar personal attacks have not convinced me The Donald has the temperament to be President. It is Mr. Trump’s job to sell me on supporting him and he has not do so. Some have said a vote for anyone but Trump is a vote for Hillary Clinton. I disagree. June 7th is a closed Republican Primary not the general election. No matter who any Republicans vote for in the primary that will have zero effect upon the Democrats nominating Hillary Clinton or any other person as their candidate for President. Also, in the general election in California we Republicans will be outnumbered by Democrats and others who will vote for the Democratic nominee so our votes for anyone in the general election will likely not matter in liberal California (and there is no way I will vote for the Democratic nominee). Praise Father, Son, and Holy Ghost. Amen! That would be a result I would be very happy with. Now if Mr. Trump does obtain the 1237 delegates to lock up the nomination, then he should be the nominee even if I do not like the result. That does not mean I will vote for or support him in the general election for all of the reasons above. But he will have won the nomination by doing obtaining 1237 delegates and maybe he can convince me he is a better candidate than I have seen to date before the November 8th election. If you wish to see my “Craig’s Pics” voter recommendations go to: Craig’s Pics. I also recommend going to Robyn Nordell’s site and review Robyn and other conservatives’ excellent voter guides. The sign in my front yard for Ted Cruz in the picture above I just put up last night (Sunday, May 8, 2016). For those that may disagree with my recommendation I ask one thing: Please state facts for your arguments, not emotion, guilt or insults. Yesterday was a banner day for Hypocrisy by the majority party in Sacramento. As has been written in this blog by myself and others, Democrat Assemblywoman Lorena Gonzalez has been pushing for the State Auditor’s office to “audit the audit” by the City of Irvine into the mismanaged $200 million plus taxpayer dollars that were squandered by the prior City Council majority lead by then councilman Larry Agran. The City’s audit (spearheaded by City Council persons Christina Shea and Jeffery Lalloway) has already shown that millions of dollars have been wasted on no bid contracts with firms like Gafcon, Inc. – with whom Assemblywoman Gonzalez has close ties. Apparently Ms. Gonzalez, afraid that the audit will continue and find reveal more bad actions by Gafcon, Inc. (one of her political supporters), got the Joint Legislative Audit Committee to vote along partisan lines to order the State Auditors office to audit not the Great Park financial mismanagement by Larry Agran, but the audit itself. Here is the link to the article in the Orange County Register: State to Investigate Great Park Audit. This audit will occur despite the opposition of many Orange County elected officials lead by Assemblyman Don Wagner. The State Auditor’s office is to determine if the Irvine audit was “too political.” Lets see if the State Audit itself is “political” or not. At the same meeting of the Joint Legislative Audit Committee, the Democrat majority killed a request by Republican Assemblywoman Melissa Melendez (with support by Republican State Senator Jean Fuller) to audit how state funds are being spent by Planned Parenthood in California. Please keep in mind Assemblywoman Melendez was not asking the committee to “defund” Planned Parenthood, just to audit them to make sure the taxpayer funds being given to PP were being spent as intended. Given the overwhelming evidence of Planned Parenthood selling baby parts / organs and now whole baby cadavers themselves (often apparently in violation of federal laws) via the videos being released by the Center for Medical Progress, there is more than good reason to audit Planned Parenthood to make sure taxpayer dollars are not being misspent. The vote was, again, completely along party lines to deny the request. Here is a link to the full article in the Flashreport (written by eye witness Katy Grimes): Partisan Lawmakers Kill State Audit of Planned Parenthood’s Public Funding. Once again our State Legislature has proven to be partisan overall. An audit of the auditors trying to find out what happened to millions and millions of taxpayer dollars regarding the Great Park and no audit of Planned Parenthood in spite of overwhelming evidence of misconduct and perhaps even criminal conduct. O I forgot, both Gafcon and Planned Parenthood are Democratic party supporters! Abortion: Yeah, Let’s go there. No one wants to talk about it. No one. Well maybe a few people. The people that are often considered the fringe. Those who are willing to stand on the street corners or outside Planned Parenthood clinics with posters depicting bloody aborted fetuses. The ones who believe that since deadly force can be a response to deadly force that it’s okay to bomb abortion clinics or kill doctors who perform them because in God’s eyes, abortion is murder. These people believe they are licensed, usually through their relationship with Jesus Christ and knowledge of the holy scriptures, empowered to deliver this judgment and condemnation to those participating in the murder of unborn fetuses. Of course there’s another side. There are the ones who wear tampons as earrings, proclaim their God given right to have an employer or educational institution pay for their birth control. These are the same people who want to rant and rail against the “establishment” that is holding women back. They opine that a woman’s body is her own and by all means, she should have “Access” (and by access they usually mean, without paying for) an abortion under any circumstances at anytime. After all, it is “her” body and the fetus is merely a parasitic organism that can not exist without it’s host. Most human beings do not identify with either of these perspectives, yet these are the two schools of thought that dominate the debate. Unless and until the reasonable humans in the midst of these competing ideals, start thinking and speaking, and voting, we will continue to have these viceral and pointless oppositions dominating our political landscape and we, yes all of us are the problem, WE will continue to experience recurring, abhorrent events and places like the Kermit Gosnell house of abortion horrors. There is no one that thinks that was a good place or process for women or children and BOTH SIDES blame the other side for creating an environment surrounding abortion that such a place evolved into existence. They are right, BOTH side are to blame for the development of such a place that atrocities could occur, but they miss the real point, You and I, those of us in the middle, we are ALSO to blame. Our inaction, our silence, our failure to speak our mind, to donate to charitable organizations who help women with unplanned pregnancies and for voting without being informed. The business of abortion, contrary to what you might believe, is not just the business of performing abortions. The big money is in the debate. Most of the money, and there is a lot of it, raised by the “Pro-Life” movement, goes into political campaigns. Not to unwed mothers, not to homeless or poor women or children, not to orphanages or adoption agencies, but to politicians. There are watch groups who track the voting of politicians once they are elected with their Pro-Life platform and Pro-Life Money, to make sure they are holding the line on Pro-Life Issues. Not to diminish the importance of knowing what politicians are doing after they are elected, and knowing their views before they are elected, but the magnitude of the money invested in this process has become largely disproportional to the actual effect. It is utterly ineffective and I can assure you, that politicians, the funds and the litmus test have saved exactly zero babies. The same could be said of the bloody poster boards. Let’s refresh our memories. Jesus said of the commandments, the “greatest of these is love” and that they will “know us by our love”. While we on the right, rant and rave about smaller government and protect our rights to own guns and worship and travel and vote, we jump up and down and ask the government, manipulate and control and attempt to influence the government, to tell women what they can or can’t do with their bodies. While at the same time we ignore the obvious answer. If it really is our mandate from God, why are we not going to God with this? Why do we continue to seek and pursue with great vim and vigor a legislative solution to an issue of morality? Who is it that has lost it’s moral compass in this debate? I beg for you to consider that we all have. As we strive, from whatever side you find yourself on, passionate that women much be protected and advocated for, or that the immorality of abortion must be stopped, it is essentially a value based judgment, and a value based decision when an individual is faced with it. Outlawing abortion is not the answer. Nor will it EVER, yes I said, EVER occur in this country. Please feel free to learn something about Supreme Court Jurisprudence and let’s start fighting a good fight. What if we start respecting the law as it exists. What if we started (both sides) respecting the views of the other, and PRAYING for them, that they would know God’s love, have the respect that we have for Human life, and personal bodily integrity (WHATever side you find yourself on). The answer, as we keep saying with health care and immigration and so many other issues these days, is NEVER MORE GOVERNMENT. Yet we take this issue and do an about face and cry out for MORE government intervention, regulation and restriction. Let go and let God. What if we tried that. What if we took seriously the Great Commission and carried the message of God’s Love instead of being messengers of condemnation, because I’ve never found “carry forth my condemnation” spoken by Jesus or any of his Apostles, and in case you haven’t noticed, the Pro-Life movement has not made much headway in “outlawing” abortion. Children and their mothers need the love and support that the religious right purports to stand on. There is a better way to deliver and convey that than what we have been doing. We need to seek and find that better way. Or we could debate and fight about it for another few years, while more babies die and more women are traumatized and another Kermit Gosnell rises up. The time has come to re-think everything. 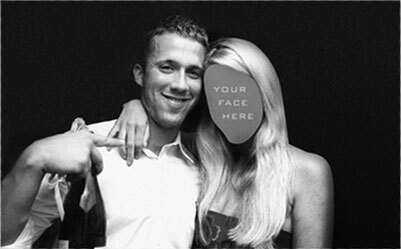 Tucker Max on the cover of his book, I Hope They Serve Beer in Hell. I assume this picture makes it clear what genre of books Tucker Max writes. Just two days later, on February 3, Komen reversed its decision after enduring a great deal of backlash for its decision to stop providing funds to Planned Parenthood. Fast forward two months later to yesterday, April 3: public relations strategist Ryan Holiday wrote at Forbes.com about his efforts to help his client, infamous fratire writer Tucker Max, donate half a million dollars to Planned Parenthood. Max told Holiday: “Ryan, I have a huge tax burden this year. I can reduce it with a large donation to charity, but I want to promote my new book at the same time. Can you come up with something cool that does both?” Holiday then suggested the donation to Planned Parenthood to get a clinic named after Max as a way to reduce his tax burden and improve his public image. Needless to say, Max has been repeatedly called a misogynist and was even deemed a “poster child for the vulgarity [sic]” in a federal court ruling. Considering Planned Parenthood was “alarmed and saddened that the Susan G. Komen for the Cure Foundation appears to have succumbed to political pressure” when Komen (initially) decided to end its $600,000 in funding for Planned Parenthood, it’s rather hypocritical for them to turn down $500,000 in funding from Tucker Max on the basis of the perception of his writing.